The Massachusetts hockey program picked up a commitment tonight from 6’1”, 175lb defenseman Colin Felix. Felix is a ‘99 birth year so he’d likely arrive in Amherst in 2018, joining fellow defenseman Brian Scoville as the second commitment for that fall. I want to take the opportunity of my first View From Section U column of the season to publicly express my support for the You Can Play project. For those who may not be aware, the You Can Play campaign was started by the family and friends of Brendan Burke, the former Miami RedHawk team manager who tragically died in a car crash in 2010. Though he passed away at the young age of 21 he had already become a pioneer at the time of his death and the You Can Play iniative carries on Brendan’s mission; to fight against homophobia in sports. The message is simple, if you can play, you can play. Really, I think that says it all and to me it’s something that goes beyond just sexual orientation. As I said, it’s a simple message. Therefore I don’t think I need to go on and on about why I think it’s important and worthy of my support. The message speaks for itself. I will note however that I happen to work in Canton, Mass, Brendan’s hometown, and I quite regularly will see the BB shamrock logo seen in the above video on cars around the area. When I see them I instantly think of Brendan and his courage. The courage it took to tell his father Brian Burke, the gruff general manager for the Toronto Maple Leafs, and the rest of his family that he was gay. The courage it took to come out to his team, not knowing how such an admission would go over in the tough guy environment of a hockey locker room. And the courage of going public with his story and taking on the role of an advocate for equality in sports. 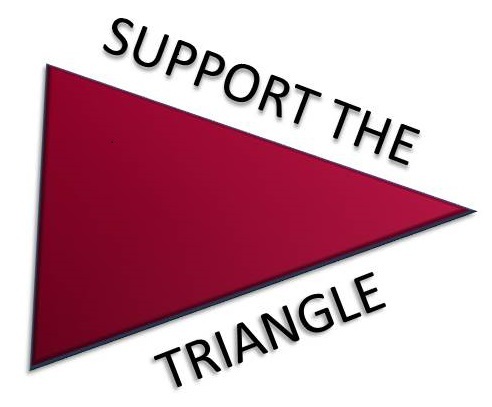 My admiration for that courage and my belief in the values of equality and respect is what spurred me on to use my soapbox of Fear The Triangle to officially show my support for You Can Play. While doing so I would like to call on the team and players that connect me to the sport of hockey, the UMass Minutemen, to do the same. I’ve always been proud of the fact that hockey players from different locales and from different ethnic backgrounds have been able to come to Amherst and not only play hockey here but excel at it and become the very faces of the program. And why shouldn’t they have done well at UMass because after all if they could play, they could play. I would love to see UMass Hockey join these other college programs and professional players and organizations and support the You Can Play campaign to support equality and respect in sport. I really enjoy this article by the Republican’s Harry Plumer about Kevin Czepiel being named one of UMass’ captains this year. Part of the reason is that I love when UMass is able to bring in the local hockey talent from the valley. It’s become a bit of a joke now but believe me when I decided to call Czepiel with the moniker “Holyoke” in posts and social media early on in his freshman year it was because he does a great job representing that blue collar town in Western Mass as a total blue collar hockey player. I think it’s really important for the UMass hockey team to not only represent the campus, but the entire surrounding area at the same time and Czepiel does a great job doing both at the same time. Also interesting in that article is the fact that he was also recruited by Clarkson, Union, Providence, and Merrimack, something that did not come out when he was first recruited. The USHL had this official release regarding transfer Ben Gallacher committing to UMass. But at the same time I won’t have to update his stats from junior hockey for a while as the league suspended him ten games for a repeated cross-check in this past Saturday’s game. I think I missed passing along the initial rankings, but CHN’s Scott McLaughlin has UMass as 7th in the league after this past weekend of Hockey East play. Do yourself a favor and read this heartfelt tribute to former Merrimack coach Chris Serino by Mike McMahon. Just want to reiterate that thoughts are with Serino’s family, including sons Anthony and Nick, two former UMass student-athletes. The Boston Herald also had this in-depth bio piece on Serino.